Listeners of A Pod of Casts know by now that I have not enjoyed the Dorne story line very much since it was introduced in Season 05. The promise of seeing and learning about this nation and it’s people became relegated to a series of silly fighting sequences around a pretty garden set piece. Outside of the interactions between Bronn and Jaime, the trip to Dorne was a considerable disappointment. Sloppy writing: We are all well aware that at the end of Season 05 all three Sand Snakes stayed at the pier with Ellaria as Myrcella’s boat sailed away. 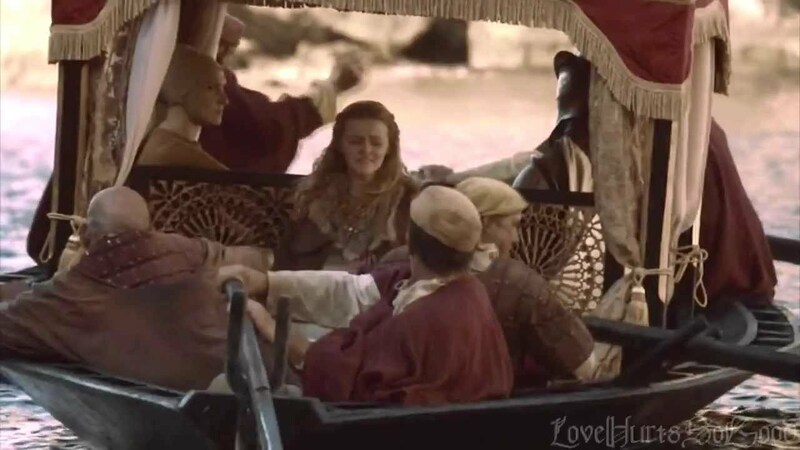 Having two of the Sand Snakes appear suddenly on board the boat at King’s Landing to kill Trystane indicates to me that the writers did not care enough about the story to worry about such discontinuity and the fans’ reaction to it. Why continue to invest any more time in a story line you don’t really care about? 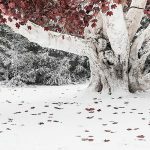 The return of Bran: Game of Thrones juggles multiple plot threads and characters which can be hard to follow for any viewer, let alone non-book readers. One of the ways this was alleviated last season was by suspending the Bran story line, which in turn made room for Jaime and Bronn’s trek into Dorne. With Bran being re-introduced this season and the White Walkers gaining momentum after Hardhome, it makes it even easier from a production and budgetary standpoint to drop the Dorne story. I’m sure the producers are keenly aware that the audience is way more interested in seeing what Bran is up to over spending any more time in Dorne. And I have a feeling Max Von Sydow doesn’t charge at the standard union rate. The Iron Islands: Similarly, preview footage leading to the Season 06 premiere has shown there will be further plot development in the Iron Islands, presumably covering material from the books which is yet to be addressed in the series. We saw very little of the Greyjoys in Season 05, and it appears that this story line will get more attention in Season 06. There is even a new character being introduced this season, Euron Greyjoy, who plays a significant role in the Iron Islands’ story line from the books. More time spent with these characters and with a story line that is tied to book material further justifies leaving Dorne behind. 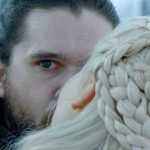 Post-episode insights: Every episode of Game of Thrones on HBO Now is followed by a quick “behind the scenes” interview with producers Benioff and Weiss where they focus on the major story lines of the episode and give further insight into what’s to come. During the sequence after the season 06 premiere Benioff and Weiss completely ignored the Dorne-related events. No mention of the deaths of Trystane and Doran, of Ellaria’s take-over, or of the implications these events will have on the rest of the story. Usually what the producer’s highlight in these segments are the things we as viewers are supposed to be paying attention to and gives us some direction as to where they plan to take the story. 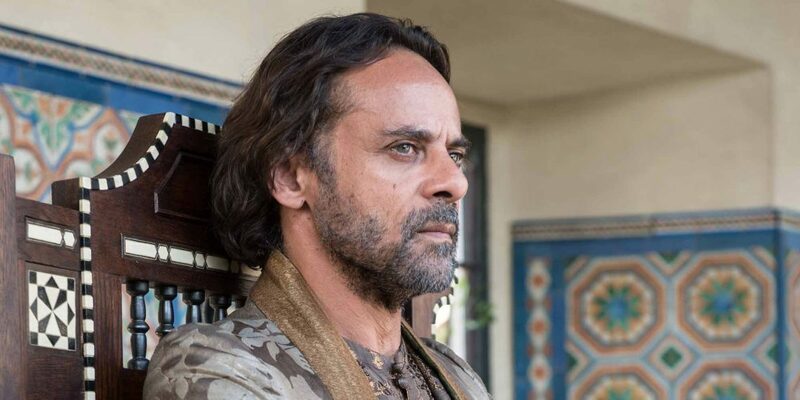 Not acknowledging the events at Dorne is to me an important clue that the focus of the season will move away from this story line now that it was dealt with in such a swift way. All that being said, I will acknowledge that there is still the possibility that Dorne will have some role to play in Season 06. After all Indira Varma, who plays Ellaria Sand, is considered part of the main cast for the season. And it is possible that the Sand Snakes trip to King’s Landing may be tied to yet another plot line from the books which has not, as of yet, emerged in the series. I sincerely doubt however that this plot line will gain much traction given how much the show is already juggling, but I’m open to being surprised. As for Ellaria, there could be the occasional scene of her ordering people around, though I doubt the production team will spend much time and resources location-shooting for Dorne. There’s probably enough stock footage for the occasional establishing shot if necessary. Personally, I think we will at best get the occasional report from Varys’ little birds or Cersei’s spies as to what Dorne is up to. There is plenty of material to focus on as we proceed through Season 06. Spending any more time in Dorne, from a story, production, and budgetary perspective simply doesn’t make much sense. Put a fork in it…it’s Dorne. Do you agree or disagree with my insights? Share your comments below! The full text of the message Doran received (found in a prop photo) explains much about the circumstances around Tristan’s death. So basically Tristan is killed after returning to Dorne/Sunspear but while still on the boat. The Sand Snakes have not left Dorne. They absolutely could have made this clearer, so I’m not sure this contradicts your point directly. It does open the possibility that they couldn’t spot the potential confusion in the writers room and were simply unable to shoot a pickup shot or reshoot with the actors to clarify the events. If the actions in Dorne had occurred in episode 2, I think a lot more people would have assumed Tristan was back in Dorne or enroute there, and maybe that was an original intention but the scenes got moved around to add some more punch to episode 1. Here is further fuel for this discussion! If Trystane was back at Dorne, why is he painting stones for Myrcella’s eyes for her body to satisfy the funeral as customary for the Faith of the Seven? Those go on her body before the funeral, so obviously he is back at King’s Landing; not in Dorne. What they should do is digitally erase Nymeria and Obara from the scenes at the end of Season Five when Ellaria is saying goodbye to Myrcella or reshoot them. 1. The dealing of Ser Arys Oakheart’s storyline. This drove Cersei nuts; she was deeply concerned about Myrcella’s safety. Somewhere between that introduction and Season 5 he mysteriously *disappeared* or was omitted to allow for the plotline for Jamie and Bronn to secretly go down to Dorne to bring her back. This is supposed to be one of the best swordsman in Westeros promoted to King’s guard to protect the Royal family until death. Did he go out for coffee? Is he drunk on Dornish wine somewhere? Was he called back to King’s landing because Cersei suddenly decided to trust the Martell’s with the care of her daughter? Did he vaporize and everyone was given group amnesia by the flashy thing in Men in Black? Myrcella dies meters from the dock with all the Sand Snakes watching from the dock, yet Ser Jaime decides to sail onward to King’s Landing without going back to confront Ellaria. Jaime is smart enough to know Ellaria was behind this. He knows Ellaria doesn’t get along with Doran (scene where they are eating in Season five) and why would Doran kill Myrcella at the risk of harm to Trystane? Why isn’t Jaime turning the boat immediately around to confront Ellaria? Possible Fix: Jaime turns the boat around to confront Ellaria in front of Doran. Doran doesn’t have a lot of guards around and since it’s only Jaime and Bronn versus the Sand Snakes they have to retreat back to the boat. Doran and Trystane and the guard all get killed and Jaime sails back to King’s Landing with Myrcella’s body. Possible Fix: They could have very easily had a scene in Dorne where he is killed and had Doran send a message to Jaime at the same time Cersei received the Snake with the necklace in it’s mouth. They could have had Jaime arrive formally and had Bronn sneak into the kingdom and done that story that way. As it is I think it’s a hot mess…. Yes Dorne has been a real s__t show D&D has p’od the book readers and t.v. fans hate the clumsiness of it or could less about it. If they do decide to put Dorne out of its misery it’ll at least give book readers something unspoiled to look forward to. Nice podcast! I agree, Dorne is done. Boy, was it handled poorly. Ellaria Sands going down. Perhaps a quick assassination scene. Maybe that’s why they’re keeping Ellaria in the cast! I think you are correct sir and they will probably keep the Sand Snakes in there as well; at least Tyene. I am sure there will be a Bronn/Tyene tryst or battle of some sort. Thanks! It won’t take long to find out if my analysis has any merit! A really interesting article, and I agree with much of it. But I have to disagree with a ‘magical’ appearance of the sand snakes. Apparently Dorne has more than one ship. Jamie and Trystane sailed to Kings Landing. Soon after their ship left Dorne, thev2 sand snakes sailed out on another ship. The sand snakes ship was far enough behind the ship Trystane was on that Jamie had time to disembark before the second ship reached Trystane’s. The only thing that’s not clear to me is if Jamie’s letter was sent from a port enroute or from King’s Landing. Your analysis makes sense, Katrina. Especially the part about Jaime coming back. The way Myrcella was killed Jaime couldn’t be sure that it would be safe for them to return. My only thought was perhaps there was still the possibility of getting an antidote, but if Myrcella’s death was sudden turning back wouldn’t have helped in any way. After seeing episode 2, I suspect that Jamie wrote the letter enroute and sent it from a port. He had already decided to send Trystane straight back and not expose Trystane to Cersei’s wrath.